In my previous post I discussed the Sitecore UploadWatcher — a Sitecore.IO.FileWatcher which monitors the /upload directory of your Sitecore instance and uploads files dropped into that directory into the Media Library. One thing I could never find in the UploadWatcher is functionality to delete files in the /upload directory after they are uploaded into the Media Library — if you know of an “out of the box” way of doing this, please drop a comment. After peeking into Sitecore.Resources.Media.UploadWatcher using .NET Reflector, I discovered I could add this functionality quite easily since its Created() method — this method handles the uploading of the files into the Media Library by delegating to Sitecore.Resources.Media.MediaManager.Creator.FileCreated() — is overridable. In theory, all I would need to do would be to subclass the UploadWatcher class; override the Created() method; delegate to the base class’ Created() method to handle the upload of the file to the Media Library; then delete the file once the base class’ Create() method was done executing. You might thinking “Mike, there is more going on in here than just delegating to the base class’ Created() method and deleting the file. Well, you are correct — I had to do a few things further than what I thought I needed to do, and I’ll explain why. I had to duplicate the logic — actually I wrote my own logic — to parse the Sitecore configuration which defines the substrings of file names and paths to ignore since these collections on the base UploadWatcher class are private — subclasses cannot access these collections — in order to prevent the code from deleting a file that should be ignored. I also wedged in configuration with code to turn off the delete functionality if needed. As you can see above, the image is deleted after it is dropped. If you have any thoughts on this or suggestions on making it better, please share in a comment. 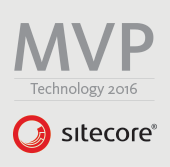 By Mike Reynolds in Configuration, Customization, File Watcher, Files, Media Library, Sitecore on 05/21/2016 .